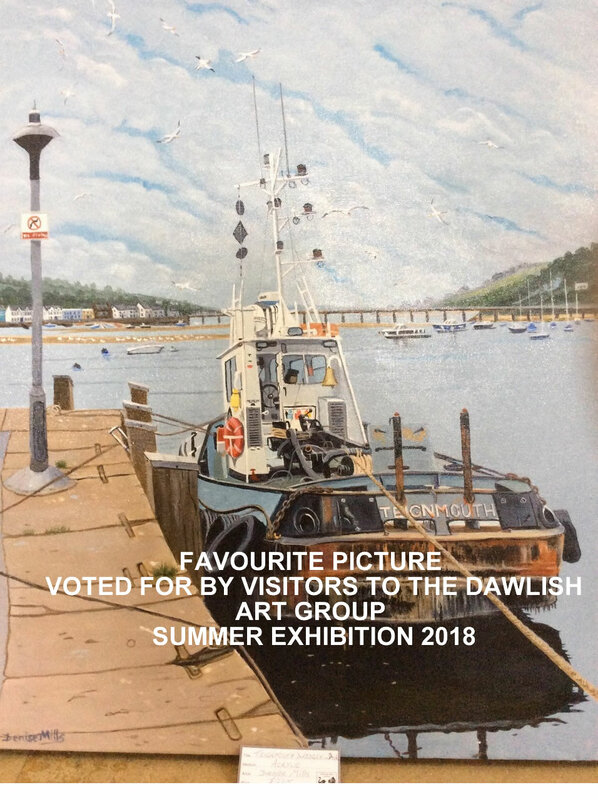 Saturday 27th April – Friday 3rd May 10.00 a.m – 5.00 p.m.
Tuesday 30th July – Saturday 3rd August 10.00 a.m – 4.00 p.m.
We held our Summer Exhibition between Tuesday 24th July and Saturday 28th July 2018 at the Strand Centre, Dawlish. 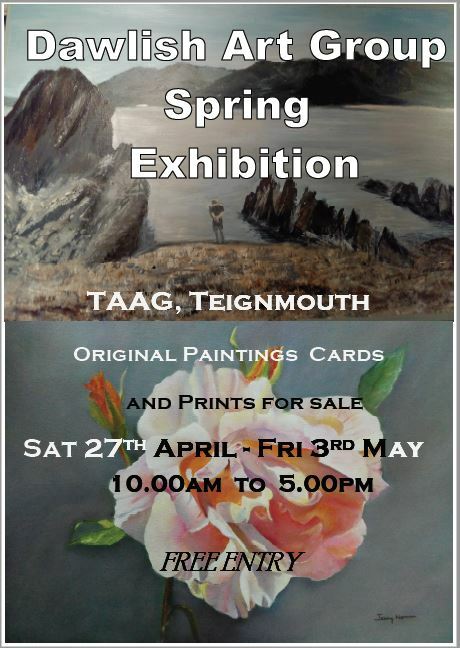 This year’s exhibition was one of the best we have had in terms of visitor numbers and sales of paintings and cards. We were very busy every day with many paintings being sold in the first few days. A local artist, Sonya Marshall, kindly agreed to judge our artwork at the Preview Evening and went on to present the prizes, explaining why she had chosen certain works and mentioning other paintings that had come close to winning. The exhibition was then opened by Mayor Lisa Mayne with words of encouragement and praise for the exhibitors.